There’s a virtue in being lost from time to time, but if you’re short of time, then you may want to cache a London map onto your phone. You can do this with Google Maps – simply zoom to the area you want to keep and type ‘ok maps’ in the search bar. 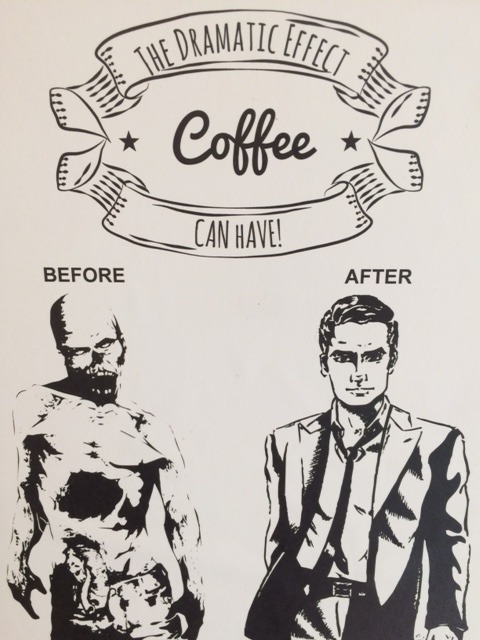 That should more or less take care of it. See the Google Maps help pages if you run into trouble. Cycling is always fastest and there are Boris bike points throughout the centre of town (and here’s a handy iOS app for that) and lots has been done to make London more legible for walkers. Should you feel compelled to use the underground, be sure to follow @tfltravelalerts – and if you need a cab, book ahead using Kabbee – in fact, here’s £10 off code for your first use: PUEZFD – get the app here. The good people a Blue Crow Media have a handy app that covers a lot of the top coffee joints across the city: App Store | Google Play | Website. That’s a lot of choice though. 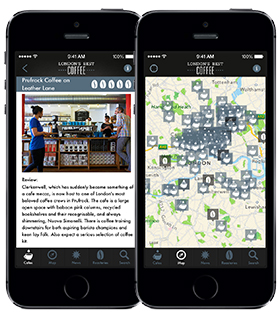 If you’re a Foursquare / Swarm user then you may want to rely on what your friends have rated – or perhaps a curated list like this: London’s (arguably) Best Coffee. If you’re attending Eurocomm, then here’s a long list of worthwhile /quirky eateries near London College of Communication.